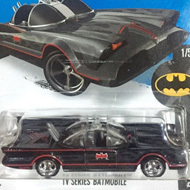 64/250 is part of the 2016 Super Treasure Hunt set and 9/10 in the HW Mild to Wild series. 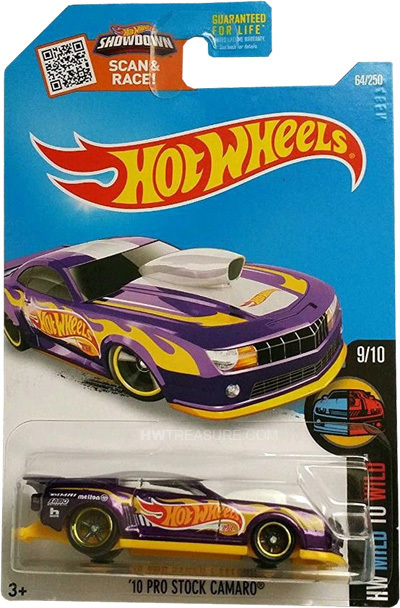 The Spectraflame purple car sports a white stripe down the top with white lines, yellow arrow-stripes, and the Hot Wheels logo on the hood. The sides are detailed with yellow flames, the Hot Wheels logo, “TH”, and a variety of white logos. It has clear windows, a white interior, and a yellow plastic Malaysia base. 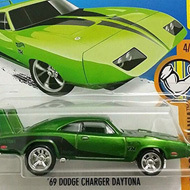 The Camaro made its debut in the 2013 Looney Tunes series and featured Wile E. Coyote and The Road Runner. It is based upon modified Camaros that are used in drag racing.